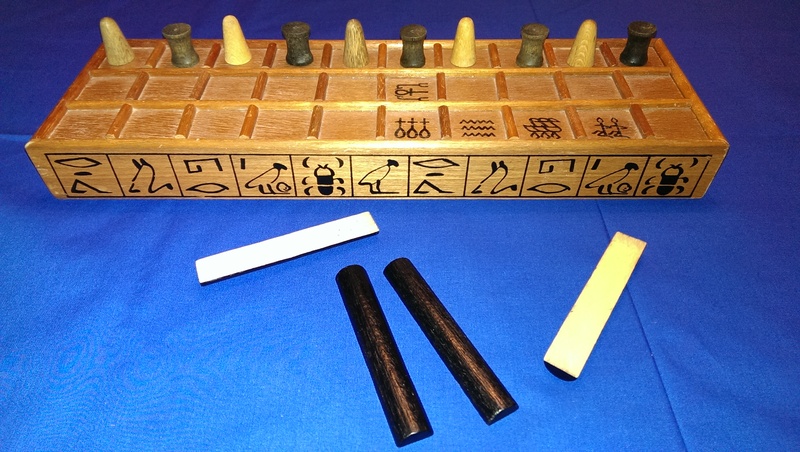 Games like Senet had flat sticks with one side painted to use as dice, often thrown in groups. This would be the gaming equivalent of rolling 4d2. The Aztec game, Patolli used a similar system, but used beans instead of sticks. 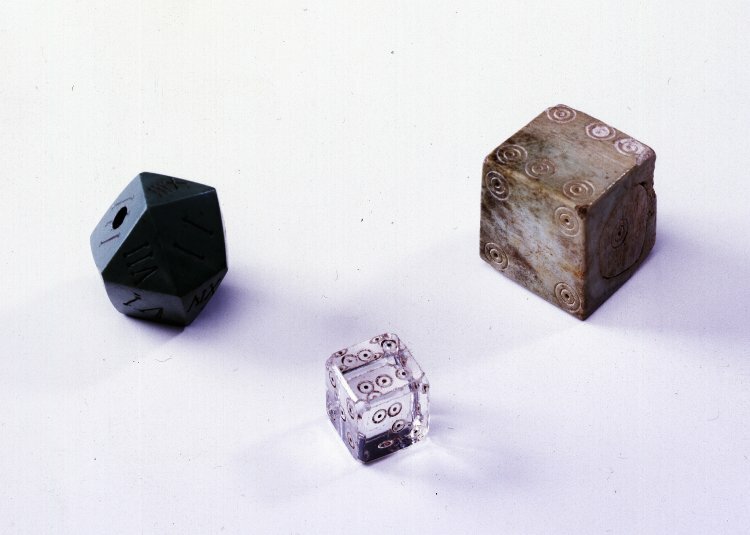 However, as far back as 6th Century BC, humans were using dice. Fully recognizable six-sided dice. They even use the same patterns as we do today. If you’re not following the British Museum Twitter feed, what are you even doing on the Internet right now? Ignoring the fact, I also don’t follow them. But whatever. Shut it. We’ll get back to the answers at the end of this article, but for now, try to guess which die came from where and which is the oldest. But what really gets to me is how recognizable these dice are. I had heard that humans had used dice for a long time, but I guess seeing them really brings it all into focus. But cubes are easy. 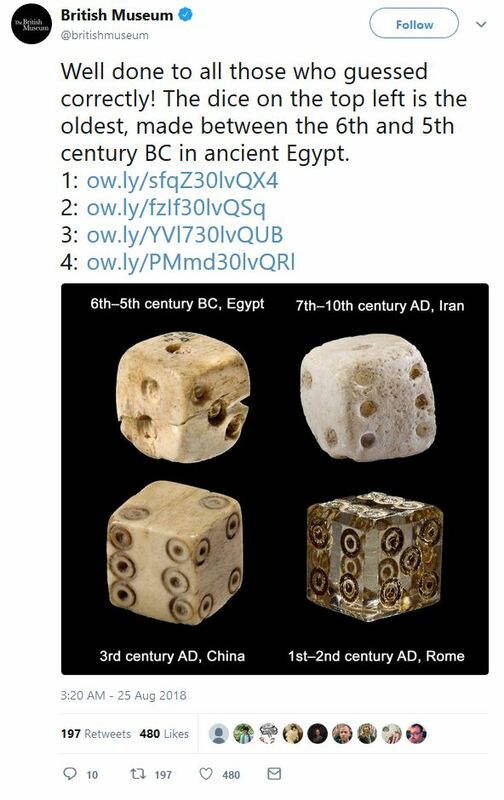 Like, it’s not THAT crazy they had invented cubic six-sided dice in ancient times. I mean, really, if maybe they had invented something a little more intricate or something I would be really impressed, but there’s no way they would have been abl….. This twenty sided (icosahedron) dice dates back to, again, ancient Egypt. 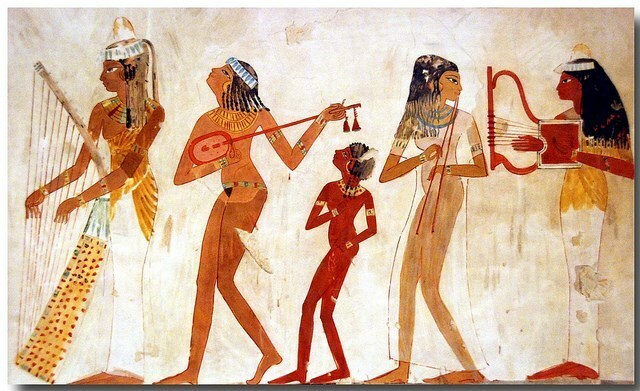 It dates back to the Ptolemaic Period of Egypt around 2nd century B.C. to the 4th century A.D. It’s currently on display at The Met so go give it a look-see for yourself, if you’re in the area. It’s made out of Serpentinite, which I’ve never heard of but sounds incredible, like a metal that allows you to invoke snake powers. It’s inscribed with Greek letters and there seems to be some debate about the point and purpose of the die. However, plenty more have been found with numerals from 1 to 20. So, who’s to say they didn’t play Dungeons and Dragons back then? You can’t prove they didn’t. I guess, more than anything else I shouldn’t be so surprised at the achievements of ancient civilizations. They built amazing structures and came up with complex mathematics and sciences. So, obviously they were a bunch of huge nerds and what’s a nerd without a trusty d20 at their side? 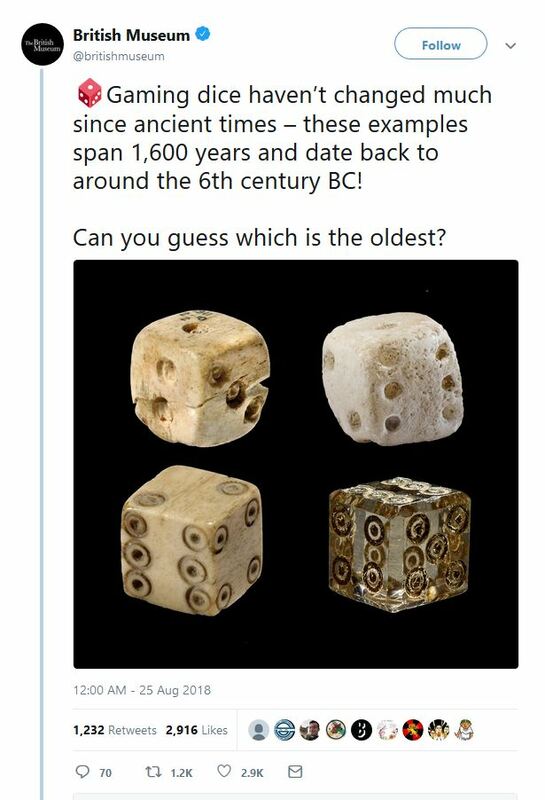 Joking aside, it is humbling in a weird strange way to know that the d20s I use when I play Dungeons and Dragons are the same type of die used more than 2000 years ago. Maybe I’ll be a little nicer to my dice the next time it rolls three 1s in a row. For everyone who remembered I had quizzed you earlier, here are your answers. 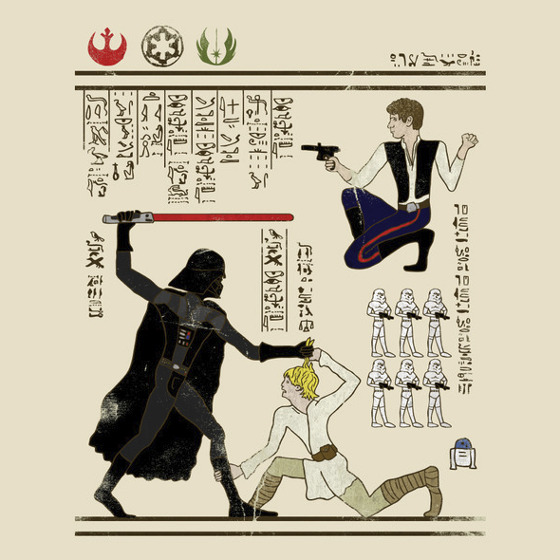 Obviously the Egyptian one is the oldest, but I’m most curious about the Roman one. 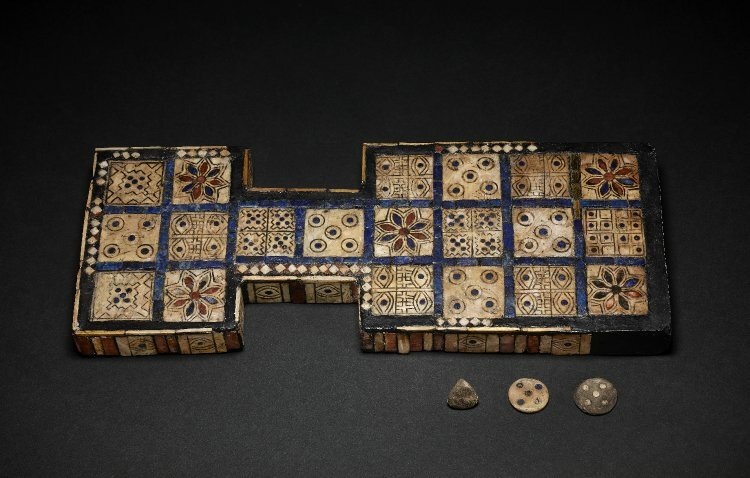 I searched through the British Museum database and I couldn’t find that die exactly, but I found similar Roman dice. They were made of rock crystal, so that’s my assumption of the composition of the one above. Super cool and now I want crystal dice. 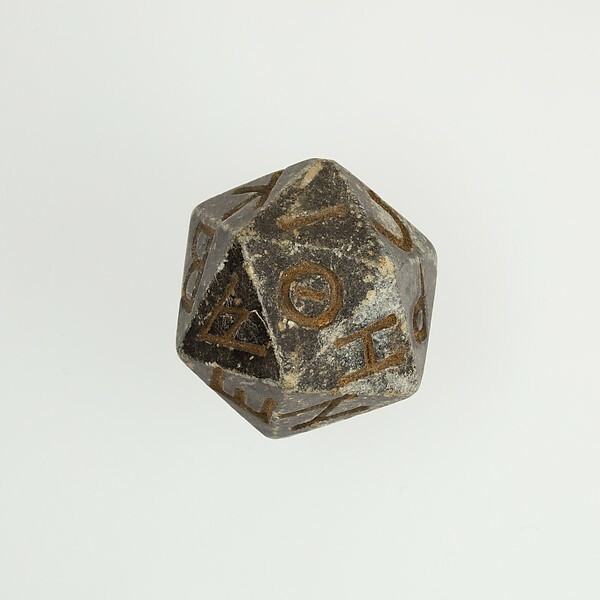 If you’re curious about the collection of ancient dice they have, check out their whole list right here. So that’s a quick and dirty overview of some ancient dice. I’ve always been interested in the history of gaming, so I might delve a little deeper into this and see if I can’t find anything else worth reporting on. 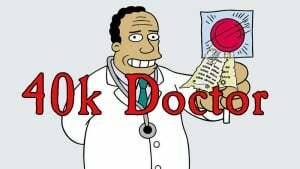 If I do, you’ll be the first ones to know.